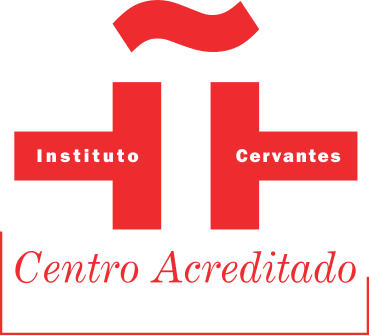 Associate member of the Instituto Cervantes. TANDEM is an Instituto Cervantes Accredited Centre since 2000 and is part of the Network of Associate Centers, which can incorporate only those which meet the quality requirements set by the SYSTEM QUALITY ACCREDITATION ELE CENTERS of the Instituto Cervantes, the only quality accreditation internationally focused exclusively on the teaching of Spanish as a foreign language. TANDEM International. Since 1988 TANDEM Madrid is part of the TANDEM International NETWORK. TANDEM International e.V., which is registered as a society in Germany, is an international association of language schools, specialising in the teaching of languages worldwide.We promote not only language development but also cultural awareness and understanding through our language courses, which we complement and reinforce, where possible, with TANDEM Language-Learning Partnerships. It is our common belief that we can significantly enhance cross-cultural awareness and understanding by offering a rich variety of language-learning opportunities. TANDEM, Escuela Internacional Madrid is also committed to improving the world and collaborates with the NGO Ayuda en Acción, donating 0.7% of the school’s turnover to educational projects in the developing world. Ayuda en Acción is an independent, non-denominational and non-political development NGO, whose primary goal is to improve the living conditions of children, families and communities. With its sense of social responsibility, Tandem Spanish School believes it should be a part of an Equality Plan to promote equal opportunities. Therefore in 2012, Tandem put into effect the Equality Plan of the Community of Madrid.